Integrations with Zapier, MailChimp, and Klaviyo. Improved notifications and tooling. 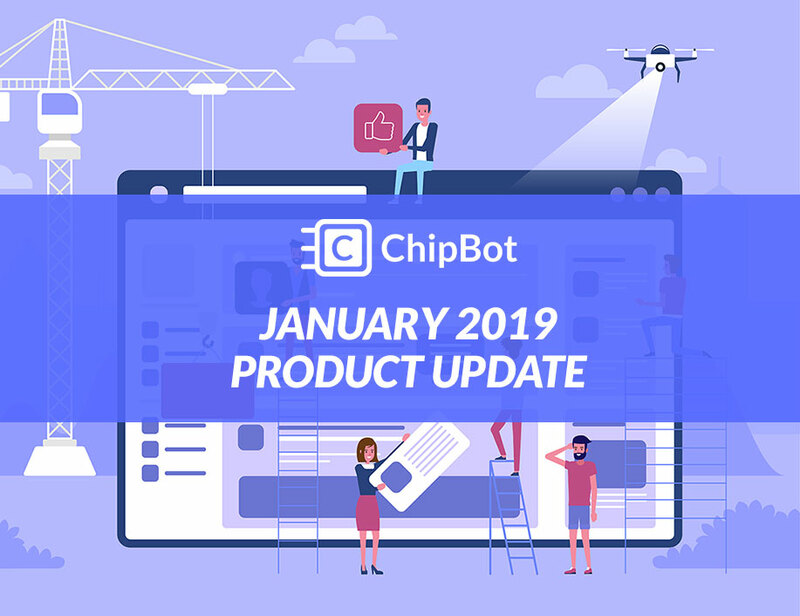 Below is a list of what’s new and available with ChipBot and what we’re working in the next 30 days. Expect a post like this at least once a month. You can now set notifications to be once a day, twice a day, or polling multiple times a day. This is intended for ChipBot users who need to see questions immediately rather than once in the morning. The notification feature only affects inbound questions, not the weekly report you receive on Monday about overall search queries. Tags help you organize and set rules for your insights. We have improved tags to incorporate our rules feature so any content with the applied tag will also inherit its rules. Use this feature if you only want some insights to be applied to certain pages or groups of pages. Upcoming: CRM and Mail Integrations. We have started the Zapier integration work and will soon be working on MailChimp and Klaviyo. We’ll talk more about these once they release but if you’re managing a CRM or email drip campaign, we’re going to automating ChipBot email collections into those systems. 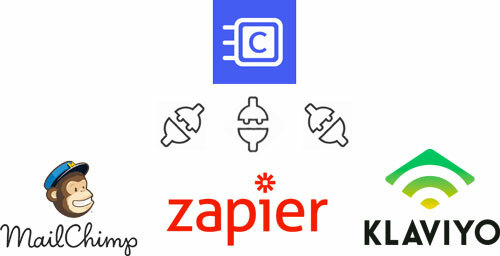 Zapier already has thousands of existing integration points that you can “zap” together. MailChimp and Klaviyo are popular email providers our Shopify, WordPress, and Magento users work with. Expect Zapier to be deployed in the next week or so, with the following integrations being deployed early to mid-February.